A beautiful time to slow down & regain strength after childbirth, with baby in arms reach. A feminine style of yoga, turning inward and honouring your body. Learn yoga poses holding baby. Sensory sing, play and massage with baby at the end of class. Meet other new mums in your area. 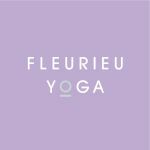 *Please note: regular Fleurieu Yoga class passes cannot be used for this class- please pay Nadia directly.